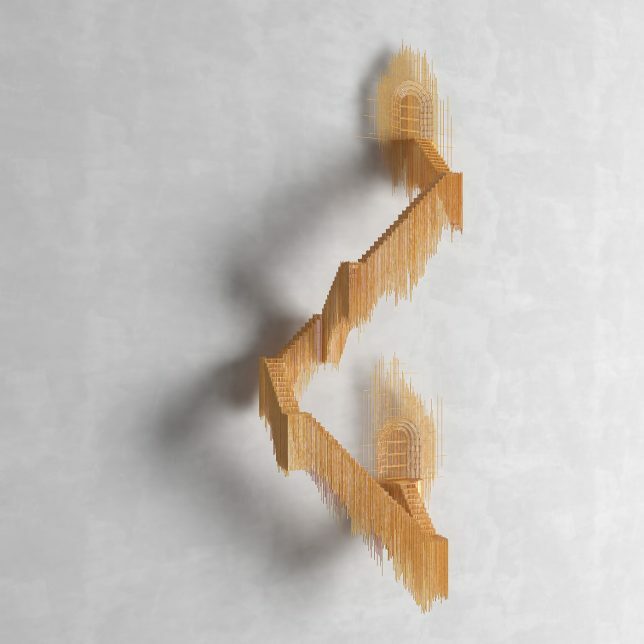 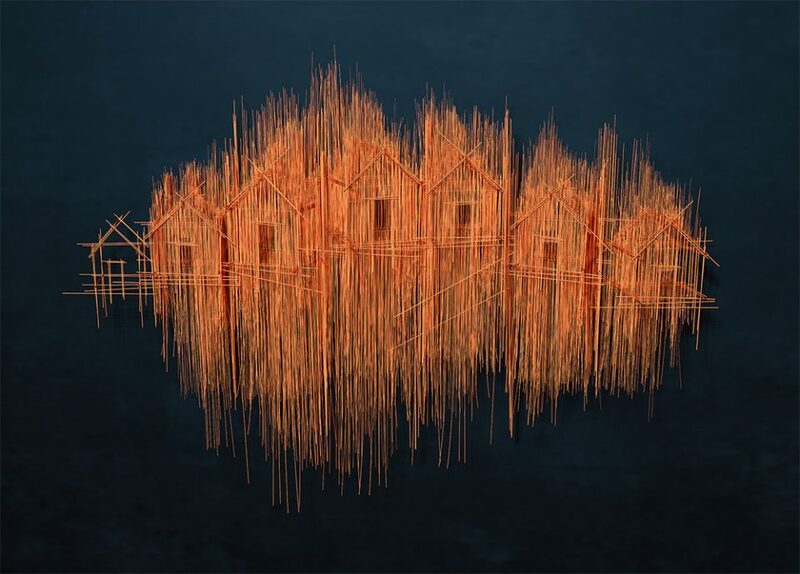 This ongoing series of sculptural floating cities and suspended towns could be mistaken for pencil drawings when glanced on a wall or seen in a two-dimensional medium like photography. 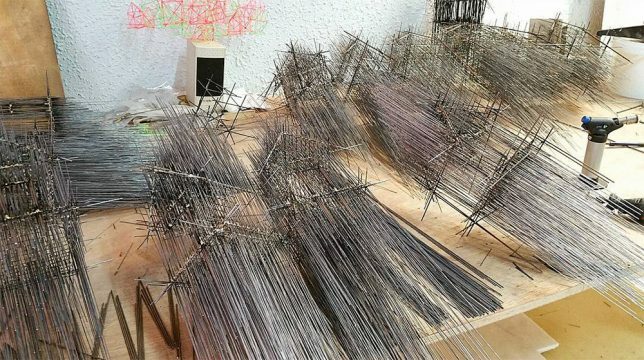 Spanish artist David Moreno sees it that was as well: at attempt to draw sculptures, but using steel rods lashed together with piano wire rather than a pen on a pad. 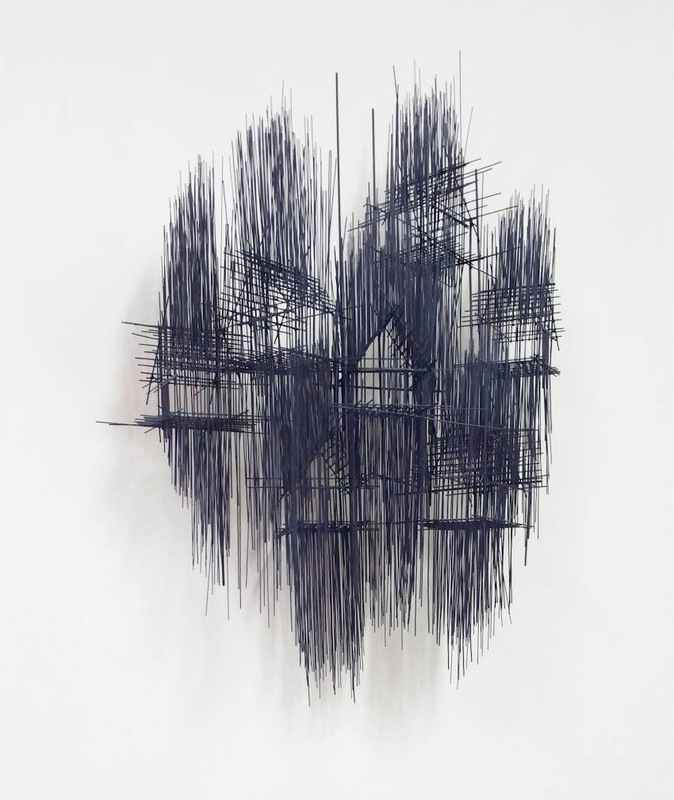 Background depth, shadows and other slight dimensional clues cue viewers into what they are really seeing. 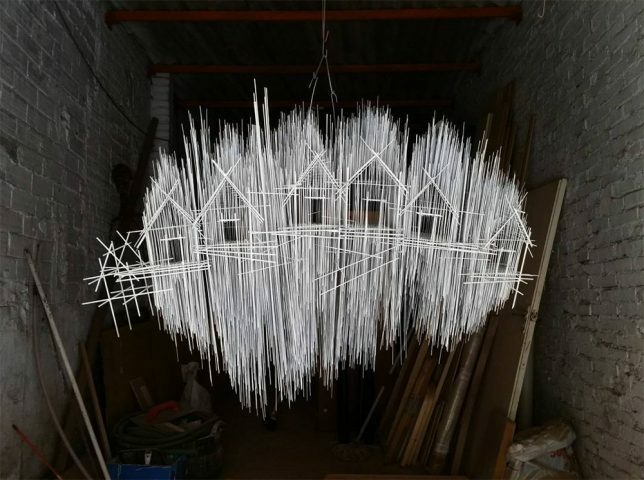 These stick-figure structures correspondingly look deceptively simple: what would normally be a single stroke is instead a meticulous assembly process, the rods tied together by hand and piano wire wrapped and clipped to support them. 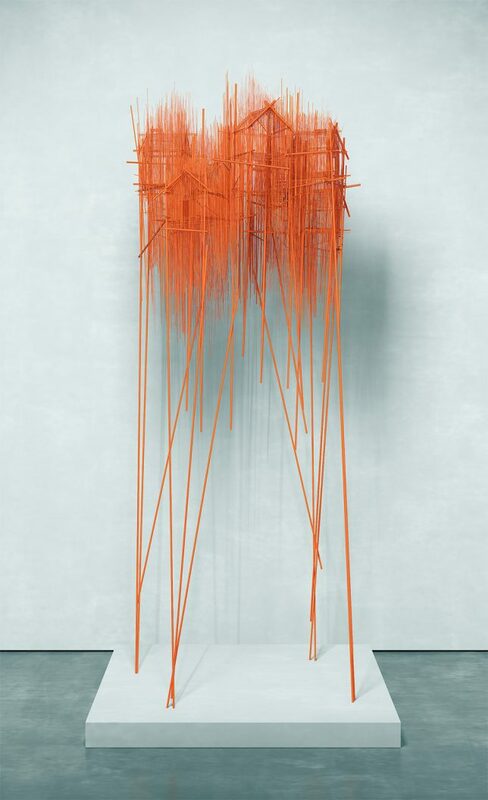 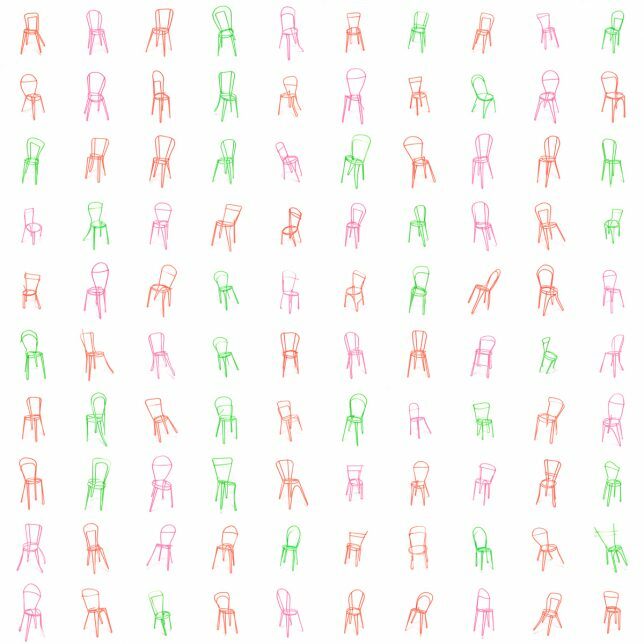 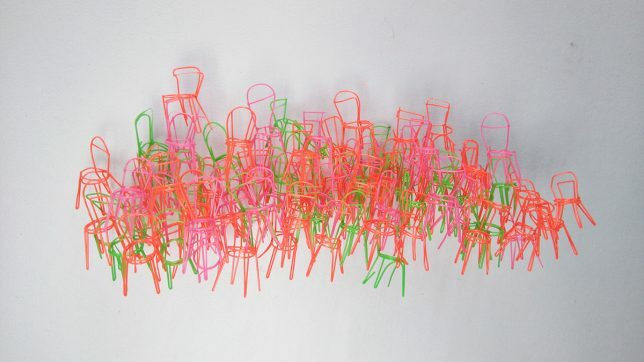 The Barcelona-based artist has also toyed with 3D-printing extrusion devices to shape similar works in more colorful formats, combining, for instance, a series of stylized chairs into a mass of interconnected hanging sculptures. 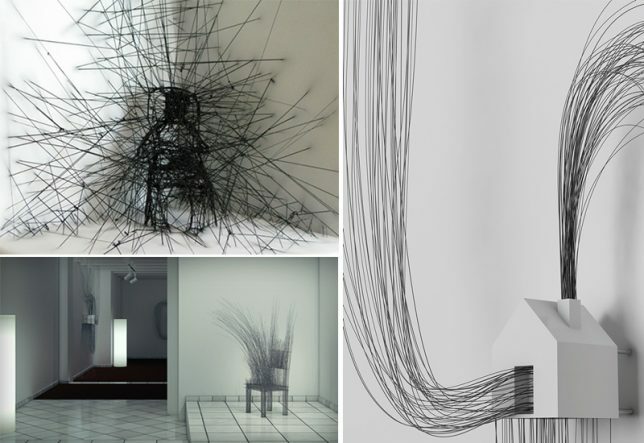 In other cases, strings and wires are looped and stretched to form complex shapes or interact with other objects – stories and figures emerging from a combination of materials and forms. 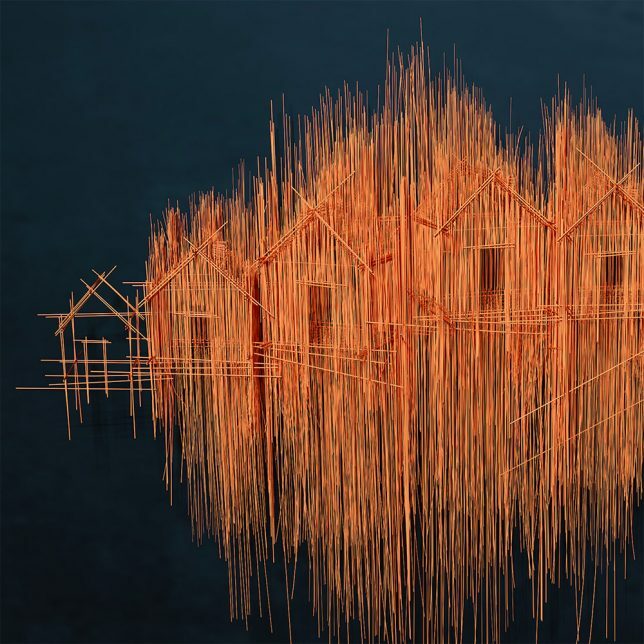 While the specifics of his work shifts from one installation to the next, a common theme is clear: taking traditions of line art into the third dimension and seeing what can come of the process (via Colossal).